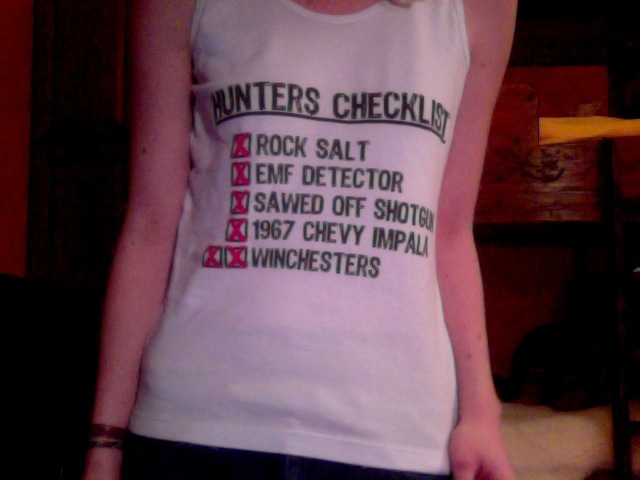 Supernatural may be going downhill to Hell, but it is still an epic tv show, and I will always weir my cool t-shirt when I go to bed! I’ll even look at an episode from season 4 which I am going through right now, before going to sleep. God night everybody, I hope no ghost will come and hunt you tonight 😉 It’s so disturbing when they come and interrupt your sleep! This entry was posted in My life, Tv series and tagged Good night, Sleep, SPN, supernatural, Sweden.